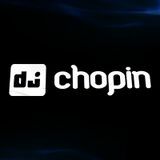 Gabriele Piccinnu, aka Dj Chopin, was born in Sardinia on the 11th August 1993. His passion for music began when, as a kid, he received his first digital piano as a gift. He has been playing classical music for many years now and, as the his name suggests, his favourite composer is indeed Frédéric Chopin. A few years after having started playing, parallel to classical music, he became more and more interested in the world of digital and electronic music as he discovered the world of the digital synthesizers and sequencers, developing over the years a sound knowledge about the cutting edge digital music production techniques. He is currently still dedicating much of his time to the classic piano and he produces new electronic tunes, many of which have elements of his favourite genre: Hardstyle!